America's Cup is coming to Marin in 2013. If you are planning to buy property in time for this prestigious yacht race, Sausalito, Tiburon and Belvedere provide prime views, as well as valuable real estate. Tiburon and Belvedere are also home to some of the best public schools in the area, which also helps support values. The America's Cup race is a best-of-nine series that is scheduled to commence September 7, 2013 and run through September 22. According to the Marin IJ, impact reports indicate as much as $1.4 billion will be pumped into the bay area economy, with as many as 11,500 people per day taking in the race from the shores of Southern Marin. This could have a positive effect on short-term appreciation of real estate in those towns. 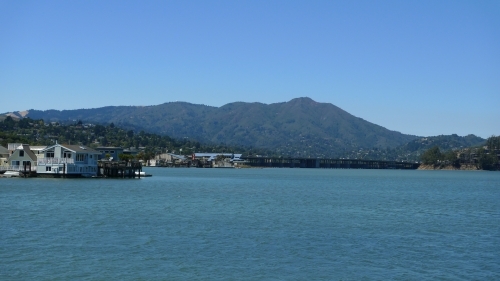 The rental market is already tight in Marin with rents increasing steadily. Therefore, the event could provide an opportunity to pull in even higher rents if you own property in Sausalito, Tiburon, Belvedere, Mill Valley, as well as nearby towns. Find out how I can provide a highly effective solution to purchase your dream house in Marin or to sell your Marin home with the best possible terms in today's market, by combining Internet expertise, access to our database of thousands of buyers, key relationships and other tools. For a complimentary consultation regarding your home's value or assistance in purchasing the right property, contact Jonathan B. Jacobs to schedule an appointment.